After Mike Sexton's elimination with A-K against Scotty Nguyen's K-K, Nguyen walks over to Mike Matusow, who claimed before the flop that he folded pocket queens. When a queen appeared on the river, Nguyen wanted proof that Matusow had queens and would have won the pot. So Nguyen put his arm around the dealer, pulled Matusow's cards from the muck, and flipped them over -- pocket jacks (J-J). Matusow was caught bluffing about what he folded. Nguyen just laughed and said, "You lie to your friends, Mikey?" With 19 players remaining in the WSOP Tournament of Champions, Mike Sexton (right) moved his short stack all in with A-K, only to run into the pocket kings (K-K) of Scotty Nguyen (foreground, left). Mike Matusow (not pictured) folded to a reraise from Nguyen, and claimed to have pocket queens, telling the dealer, "Don't put a queen out there." The first four cards on the board were low, and the last card was a queen -- Nguyen won the pot with his pocket kings, and Mike Sexton was eliminated. 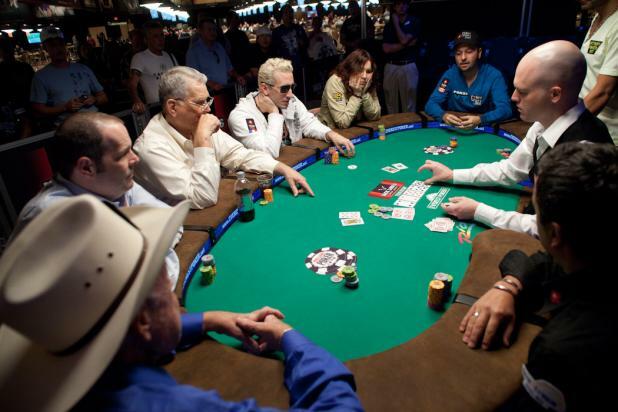 If Matusow is to be believed, he would have won the pot with a set of queens on the river. 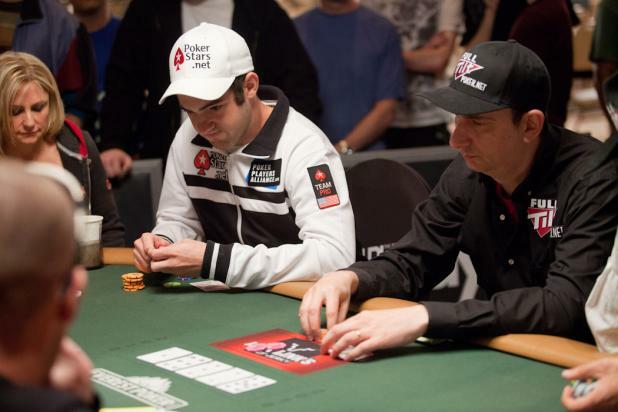 Throughout his entire career, Phil Hellmuth (right) has been focused on one thing -- winning WSOP bracelets. Hellmuth has won 11 bracelets in his career, more than any other player in history. Hellmuth is one of the most compelling players in the game, and one of the most divisive -- fans either love him or hate him. He's definitely one of the best in the world at Texas hold'em, but he is prone to angry tantrums at the table when he receives a bad beat or feels he is playing against bad players (which includes most of them). But the fans wanted him in the Tournament of Champions -- he received 12,673 votes (fourth most). In the first hand of Day 2 of the WSOP Tournament of Champions, Doyle Brunson was short-stacked and all in with J-10 of diamonds against Daniel Negreanu's A-K of spades. The board came 8h-4s-2h-7s-10s, and Brunson briefly thought the river card was a winner for him as he paired his ten. But Negreanu made a spade flush to win the pot, and Doyle Brunson was eliminated. 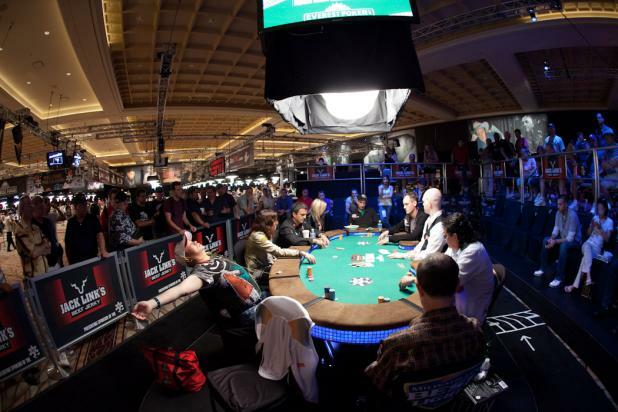 The WSOP Tournament of Champions started with 27 players, and five of them were eliminated on the first day. Day 2 begins the next day with 22 players. 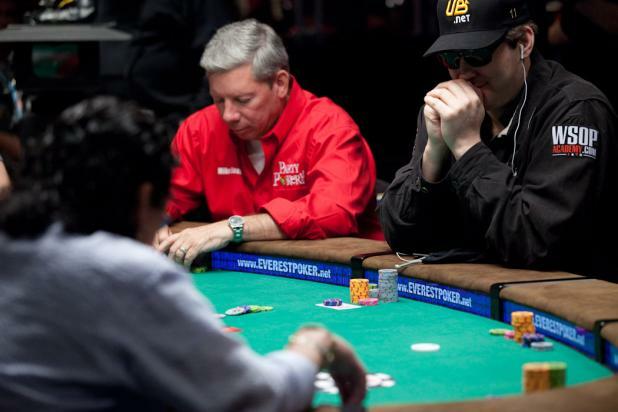 Reigning WSOP Main Event champion Joe Cada (left) plays a pot against Erik Seidel on Day 1 of the WSOP Tournament of Champions. Cada won more than $8.5 million in last year's Main Event, which gave him an automatic invite into this event. Cada was 21 years old, and the youngest Main Event champion in history. Seidel, on the other hand, has had a long career in poker, collecting more than $10 million in live tournament earnings and winning eight WSOP bracelets. 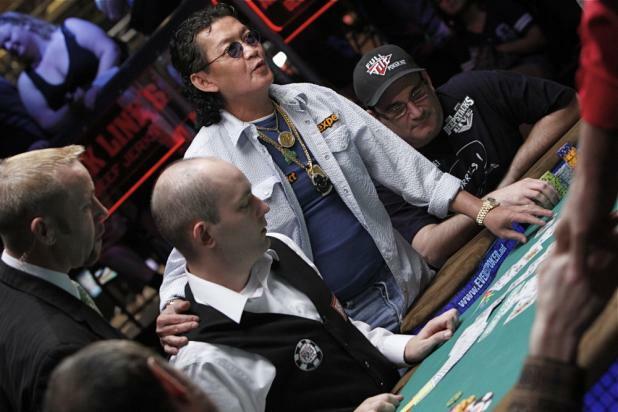 Ironically, Seidel may be most famous for an event he didn't win -- the 1998 film "Rounders" highlighted footage of Seidel losing the 1988 WSOP Main Event to Johnny Chan. Even though his most famous moment was a loss, Seidel has earned the respect of the fans to the tune of 8,802 votes (11th most). 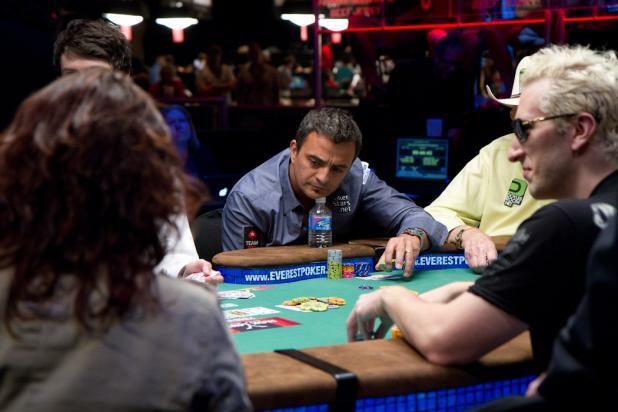 Mike "The Mouth" Matusow plays at the featured table on Day 1 of the WSOP Tournament of Champions. Matusow is a very popular player among the fans, though not for the usual reasons -- Matusow is often blunt and abrasive, but fans love his pure honesty and the fact that he says things like they are. He is also fascinating to watch, because he is one of the best players in the world when he is focused, but prone to dramatic blowups when he isn't. Either way, fans love to watch him play and see what happens. 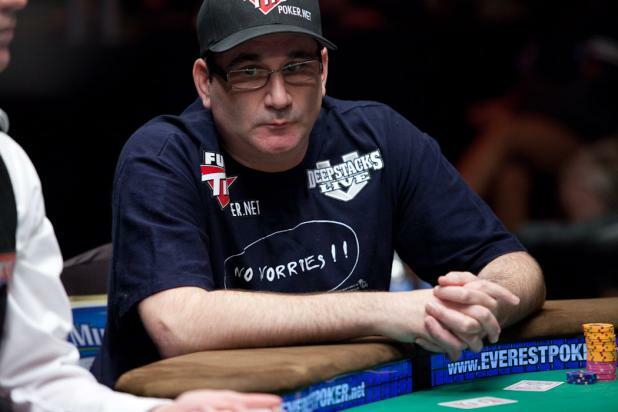 Matusow won the 2005 WSOP Tournament of Champions, which gave him an automatic invite to this year's event. 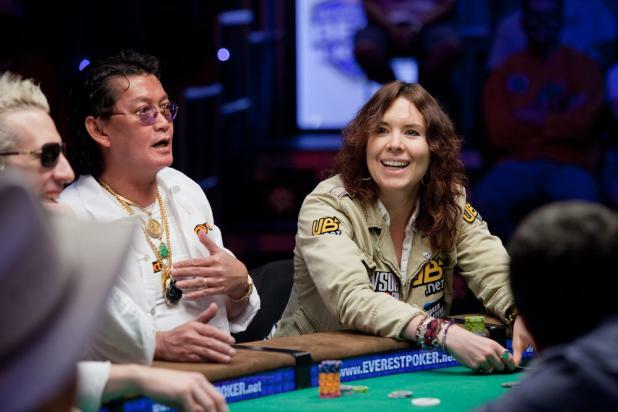 Scotty Nguyen and Annie Duke sit side by side on Day 1 of the WSOP Tournament of Champions. Nguyen has always been a fan favorite, and the 9,834 votes he received was the eighth most. Nguyen has more than $11 million in live tournament earnings, and he has one of the most impressive resumes -- winning the WSOP Main Event, the $50,000 Poker Players Championship, five WSOP bracelets, and a World Poker Tour title. Meanwhile, Annie Duke is one of the most famous ambassadors for the game, and it often surprises people that this educated mother of four is a professional poker player. Duke has more than $4 million in career earnings, and is one of only a handful of women who has won a WSOP bracelet in an open event ($2,000 Omaha Hi-Lo in 2004). Duke has made more mainstream TV appearances than any other poker player, including a highly-publicized run on "Celebrity Apprentice" in 2009. Duke won the inaugural WSOP Tournament of Champions back in 2004, which gave her an automatic invite to this year's event. 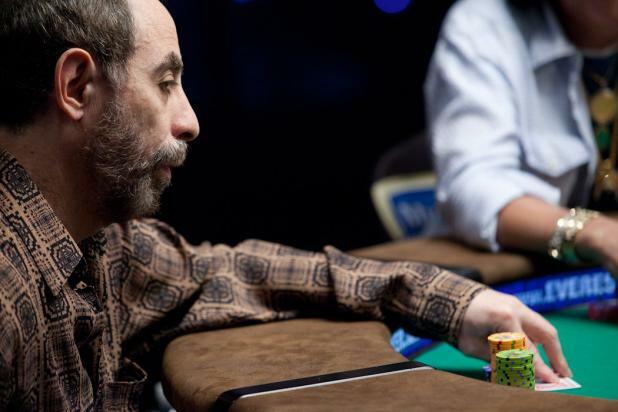 Barry Greenstein has been one of the most popular professional poker players since the start of the poker boom, and he received 9,806 votes -- ninth most -- to earn his invitation to the WSOP Tournament of Champions. 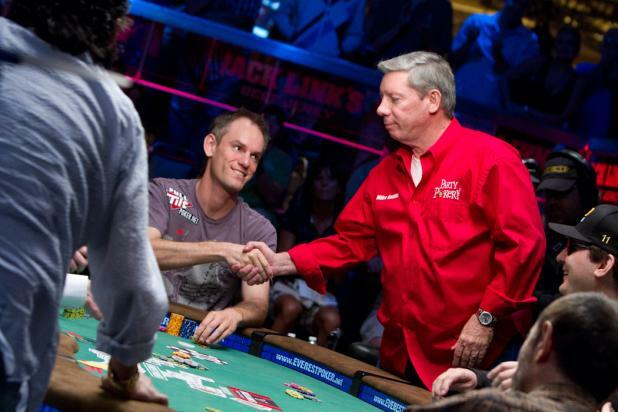 Greenstein is one of the most charitable poker players, and has donated more than $1 million to children's charities. Because he donated money that he won in poker tournaments (taking from the rich and giving to the poor), he earned the nickname "The Robin Hood of Poker." One common misconception about Greenstein is that he made a fortune in a computer company -- that's not true. Greenstein has always made his living by playing poker. Joe Hachem, who won the 2005 WSOP Main Event, received 5,272 votes to get into the WSOP Tournament of Champions. Hachem received the 19th most votes, and the top 20 vote-getters were invited to play in the $1 million freeroll.